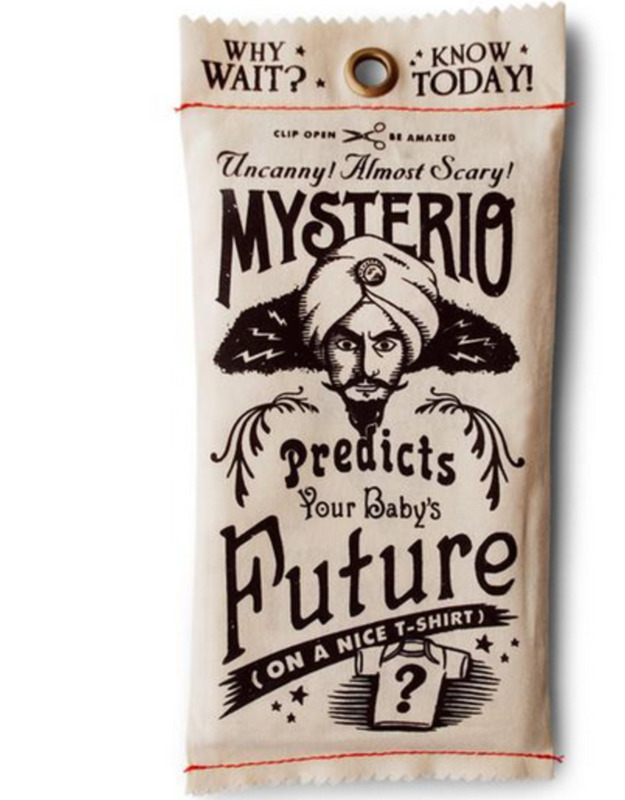 What will the FUTURE hold? Why wait to find out!? 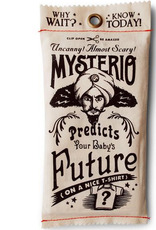 Let Mysterio predict what fabulous future awaits YOUR baby! 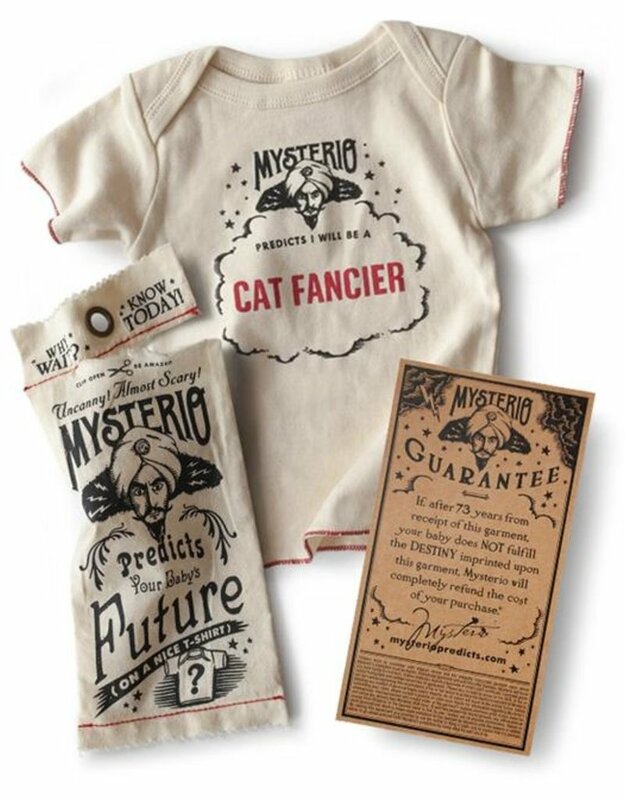 Each soft & stretchy natural t-shirt comes completely sealed in a handsome cloth bag, to be opened when you are ready to reveal your baby's INCREDIBLE destiny! 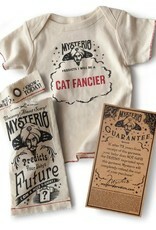 Fits 0-12 months. -A fun baby shower gift or reveal party stunt! 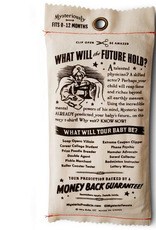 -A keepsake to treasure while awaiting the fulfillment of Mysterio's amazing prediction. 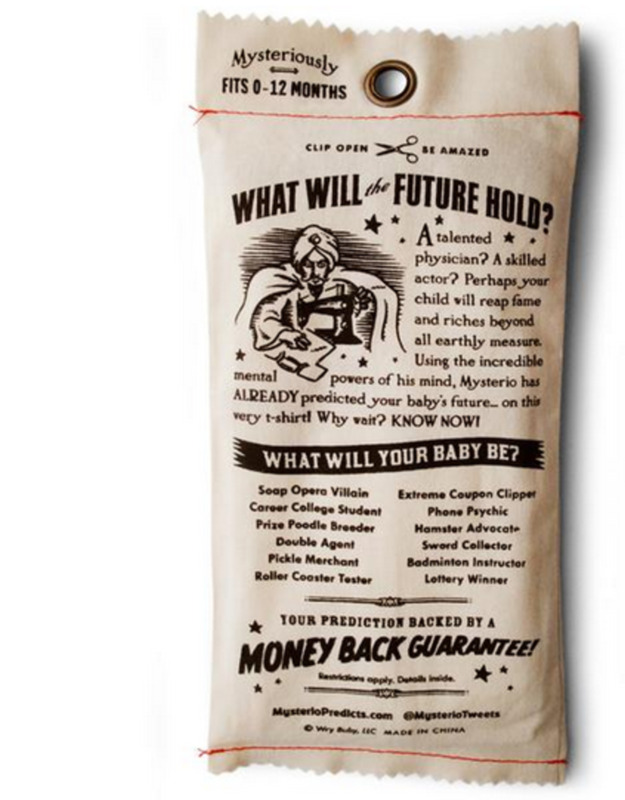 Let Mysterio predict your baby's FUTURE today!